Valentine's Day is just around the corner so I thought I'd dedicate a post to some of my favourite VDay inspired items ! I adore the heart print on this J. Crew blouse. It's so pretty and I really like that the hearts are all different shapes and sizes. 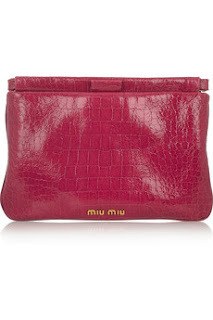 This fuchsia croc-print Miu Miu clutch is perfect for Valentine's Day! Miu Miu really does have great accessories! 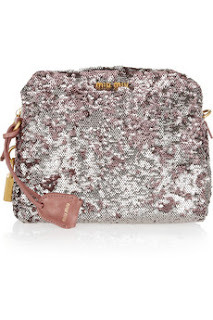 This sequin clutch is so much fun. 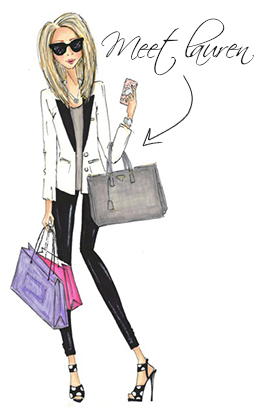 It'll make any outfit spectacular. Cole Haan Nike Air pumps are my favourite. 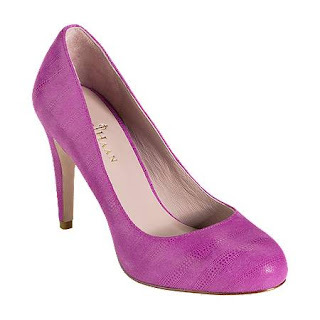 I have the Violet Air Pump 90 in black and red patent and absolutely adore them. They look great and they're practical because they're so comfy. Of course the minute I saw the new pink print I fell in love instantly. These will look fantastic in the Spring and they're super comfortable! 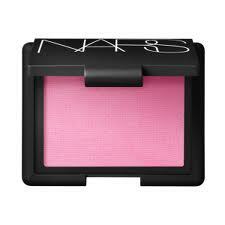 I'm a big fan of NARS blushes and their newest 2012 colour Gaiety is the prettiest pink. I just ordered Gaiety from Sephora and can't wait to try it. 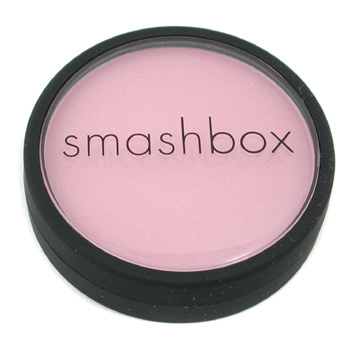 Smashbox's Soft Lights highlighting powder is a really great light pink that adds shimmer and soft colour to the face. 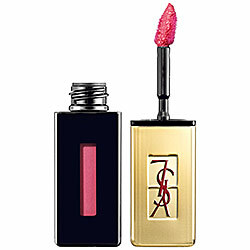 YSLs newest lip product Rouge Pur Couture is a lip stain and gloss in one. I haven't tried it yet but can't wait to get my hands on it. You know how obsessed I am with all YSL lipsticks/glosses, etc! Love your choices...especially the sequin clutch & YSL Rouge Pur Couture...definetly want to try it too! !